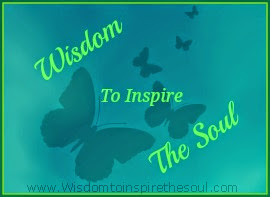 Daveswordsofwisdom.com: The Tablecloth - An Amazing Christmas Story. 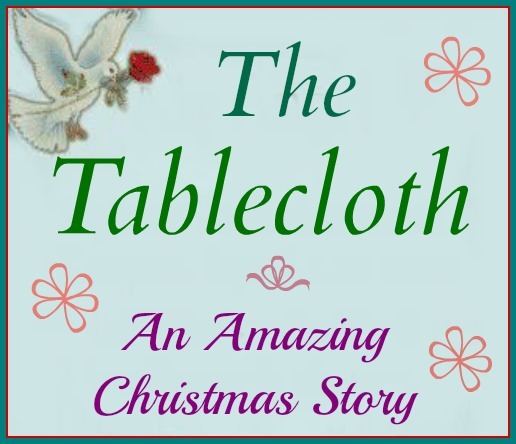 The Tablecloth - An Amazing Christmas Story. The brand new pastor and his wife, were newly assigned to their first ministry. They were supposed to reopen a church in suburban Brooklyn. They arrived in early October excited about their opportunities. When they saw their church, it was very run down and needed much work. They set a goal to have everything done in time to have their first service on Christmas Eve. They worked hard, repairing pews, plastering walls, painting, etc., and on December 18 were ahead of schedule and just about finished. 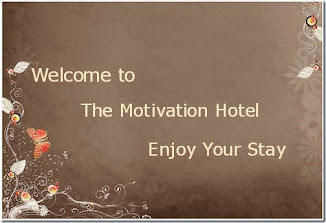 On December 19 a terrible tempest - a driving rainstorm hit the area and lasted for two days. On the 21st, the pastor went over to the church. His heart sank when he saw that the roof had leaked, causing a large area of plaster about 20 feet by 8 feet to fall off the front wall of the sanctuary just behind the pulpit, beginning about head high. The pastor cleaned up the mess on the floor, and not knowing what else to do, postponed the Christmas Eve service and headed home. On the way he noticed that a local business was having a flea market type sale for charity so he stopped in. One of the items was a beautiful, handmade, ivory colored, crocheted tablecloth with exquisite work, fine colors and a Cross embroidered right in the centre. It was just the right size to cover up the hole in the front wall. He bought it and headed back to the church. By this time it had started to snow. An older woman running from the opposite direction was trying to catch the bus... She missed it. The pastor invited her to wait in the warm church for the next bus 45 minutes later. She sat in a pew and paid no attention to the pastor while he got a ladder, hangers, etc., to put up the tablecloth as a wall tapestry. The pastor could hardly believe how beautiful it looked and it covered up the entire problem area. Then he noticed the woman walking down the centre aisle. Her face was like a sheet.. "Pastor," she asked, "where did you get that tablecloth?" The pastor explained. Then the woman asked him to check the lower right corner to see if the initials, EBG were crocheted into it there. They were. These were the initials of the woman, and she had made this tablecloth 35 years before, in Austria. The woman could hardly believe it as the pastor told how he had just gotten the Tablecloth. The woman explained that before the war she and her husband were well-to-do people in Austria. When the Nazis came, she was forced to leave. Her husband was going to follow her the next week. He was captured, sent to prison and she never saw her husband or their home again. The pastor wanted to give her the tablecloth, but she made the pastor keep it for the church. The pastor insisted on driving her home, that was the least he could do.. She lived on the other side of Staten Island and was only in Brooklyn for the day, doing a housecleaning job. What a wonderful service they had on Christmas Eve. The church was almost full. The music and the spirit were great. At the end of the service, the pastor and his wife greeted everyone at the door and many said that they would return. One older man, whom the pastor recognized from the neighbourhood continued to sit in one of the pews and stare, and the pastor wondered why he wasn't leaving. The man asked him where he got the tablecloth on the front wall because it was identical to one that his wife had made years ago when they lived in Austria before the war and how could there be two tablecloths so much alike. He told the pastor how the Nazis came, how he forced his wife to flee for her safety and he was supposed to follow her, but he was arrested and put in prison.. He never saw his wife or his home again in all these 35 years. The pastor asked him if he would allow him to take him for a little ride. They drove to Staten Island and to the same house where the pastor had taken the woman three days earlier. He helped the man climb the three flights of stairs to the woman's apartment, knocked on the door and he saw the greatest Christmas reunion he could ever imagine.